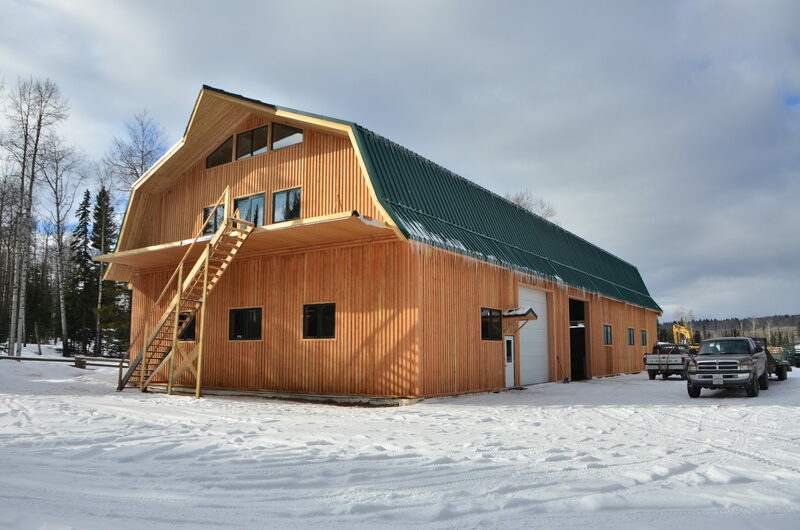 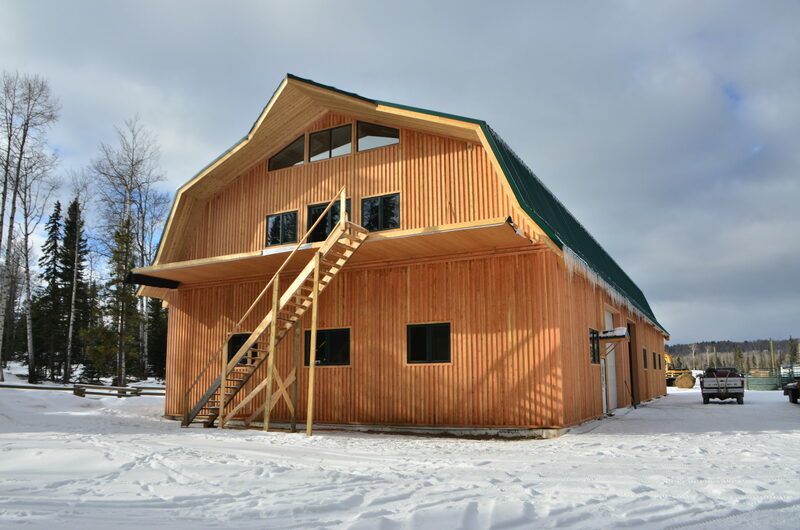 This project represents a large barn that was built with pre-engineered timber components to minimize post locations in the interior. 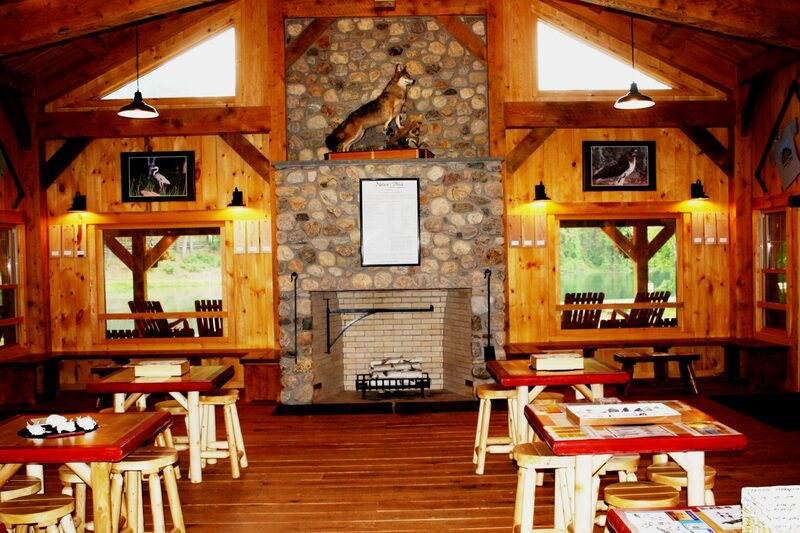 The Fox Hole is a facility to teach Nature Science to youth groups. 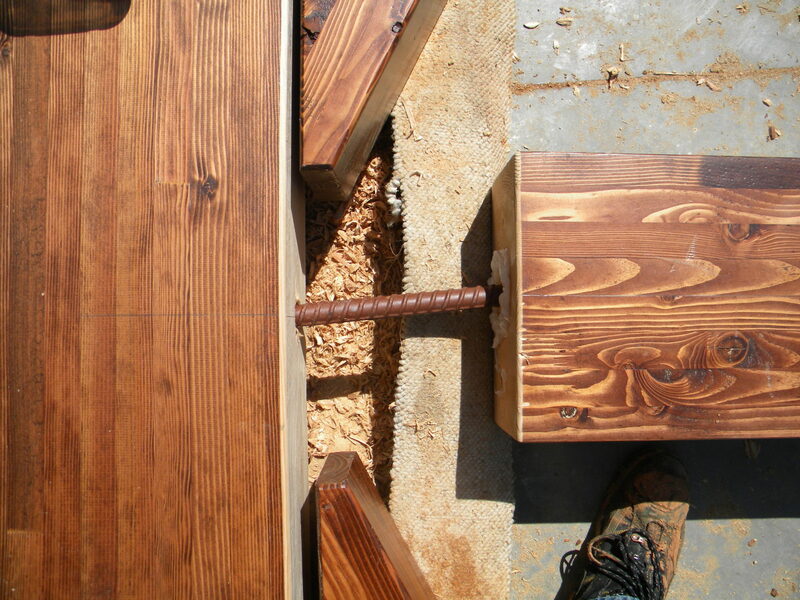 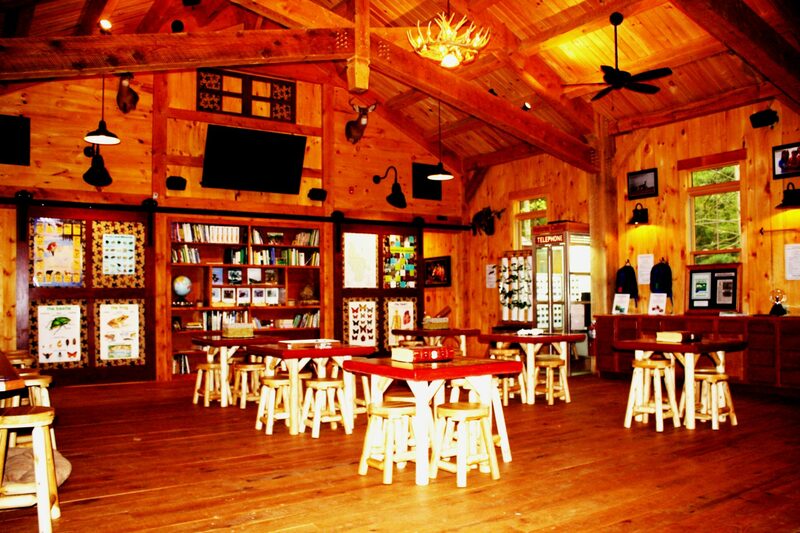 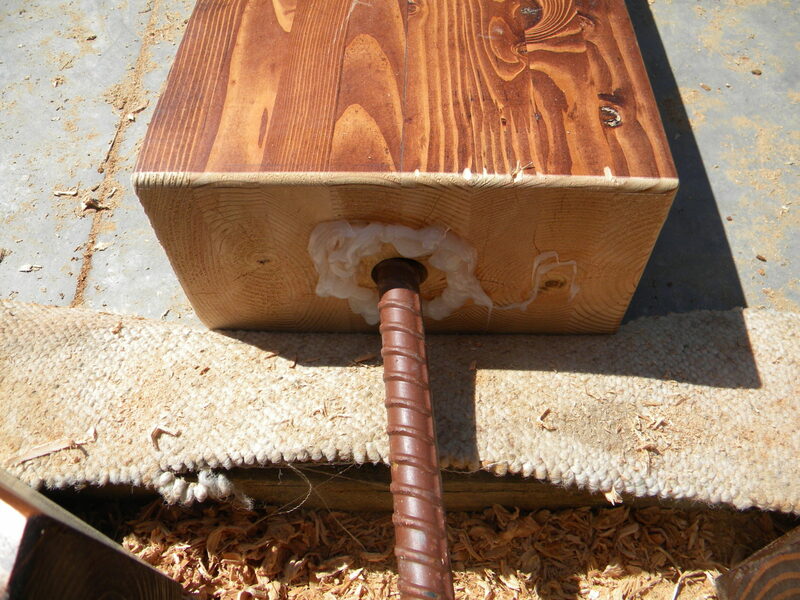 The idea was to use natural materials to generate a cozy and relaxed learning experience. 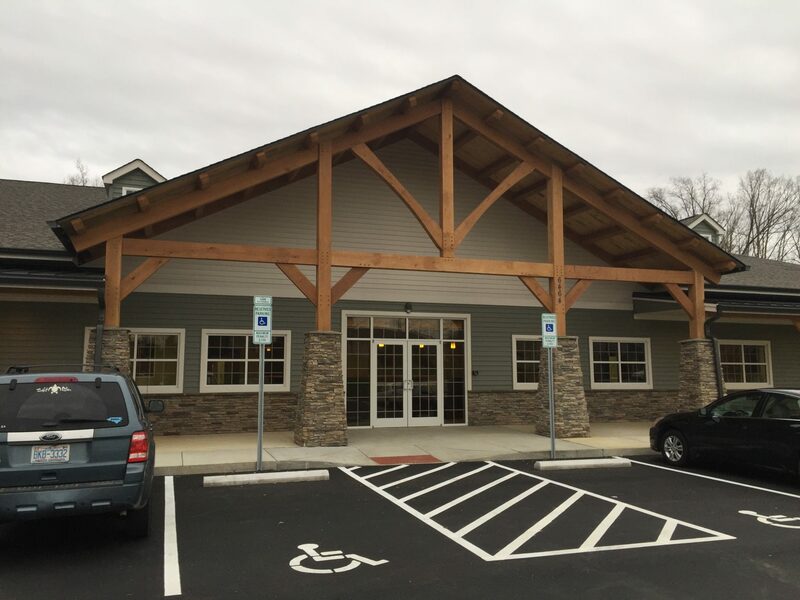 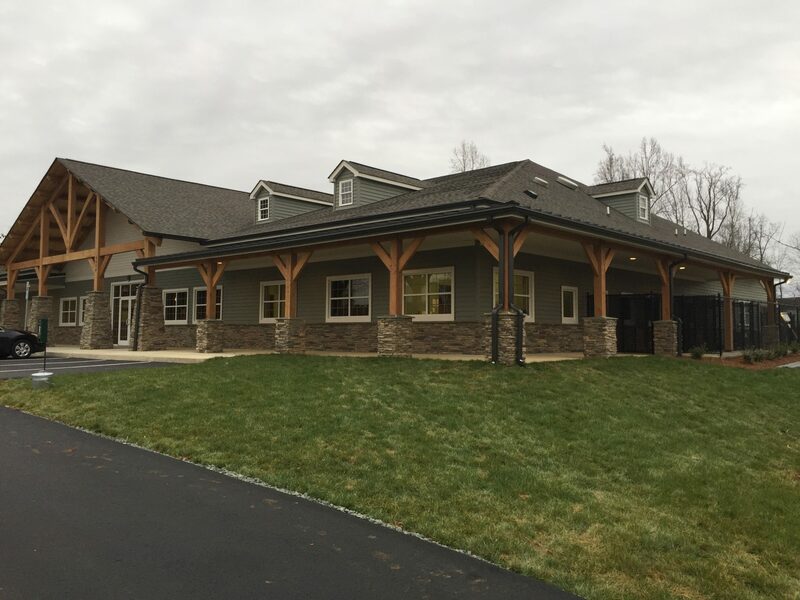 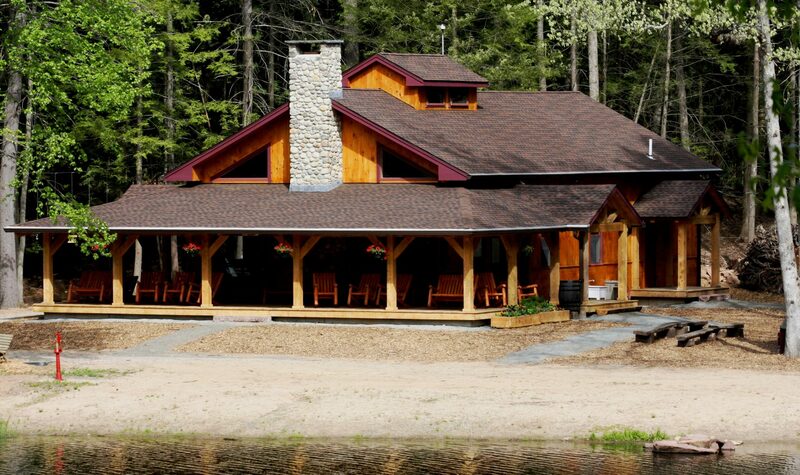 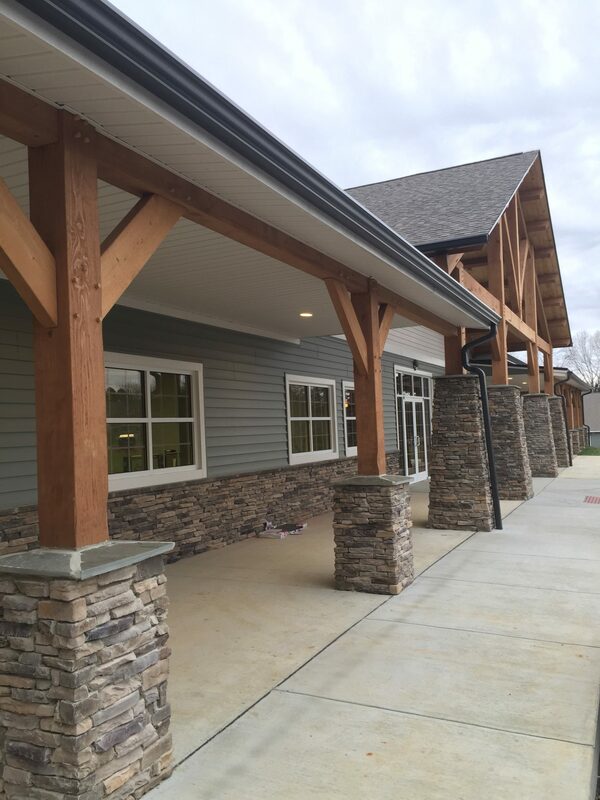 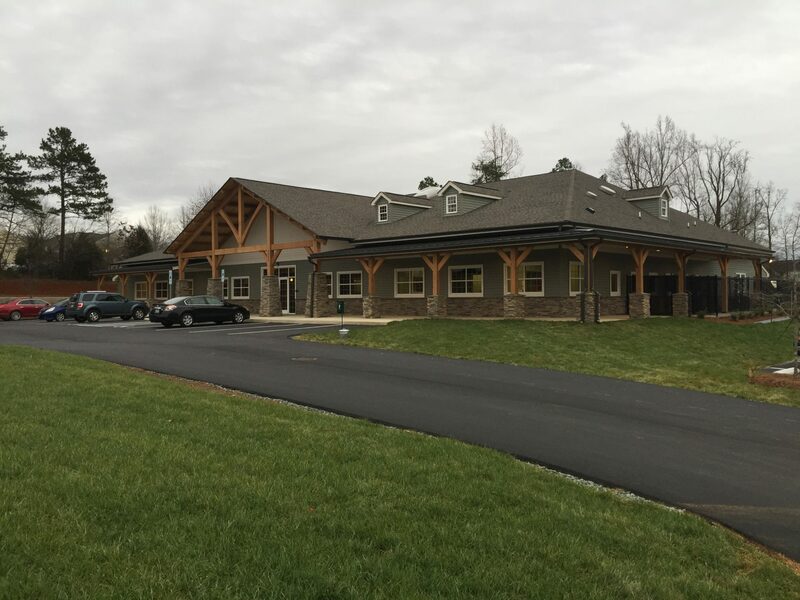 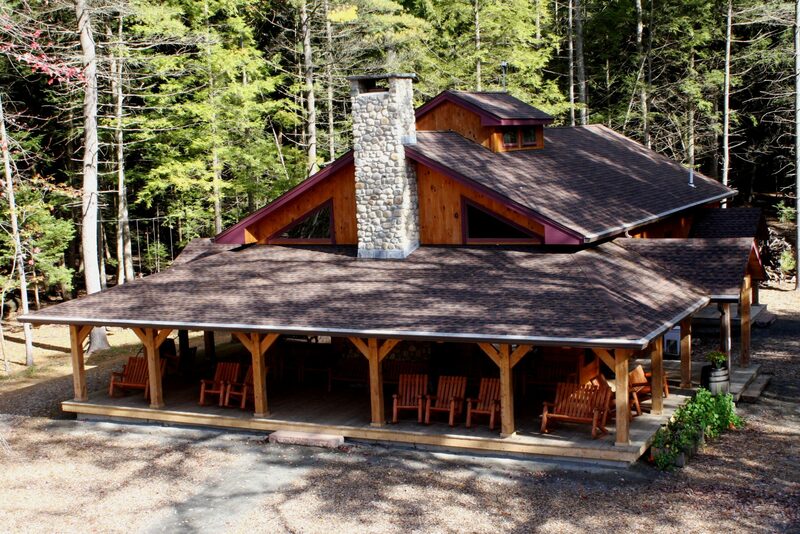 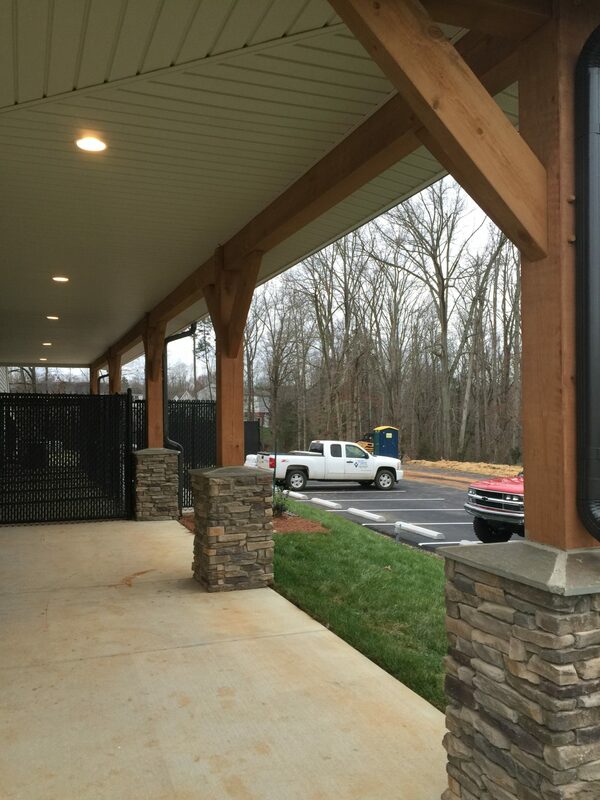 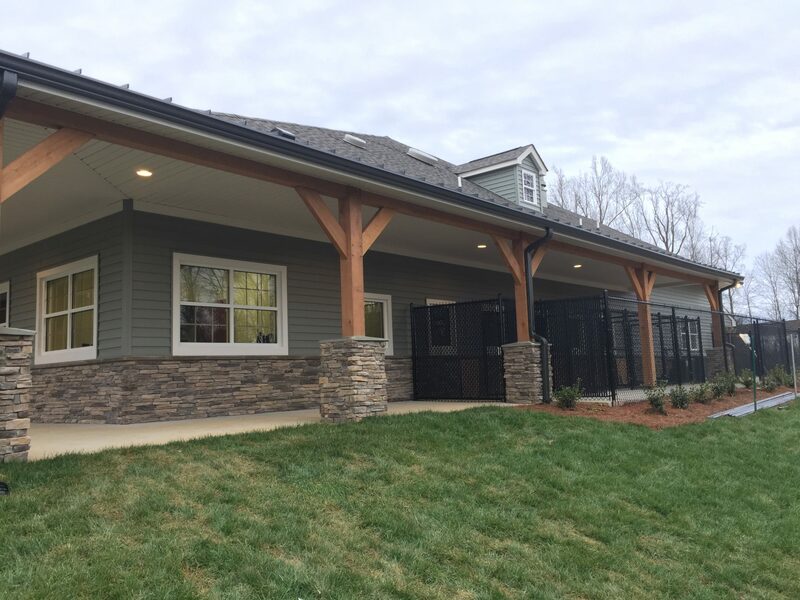 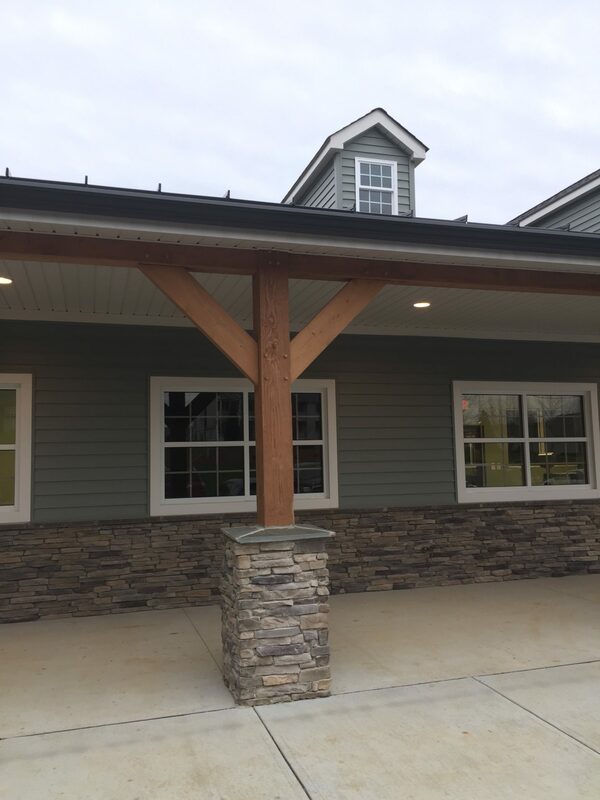 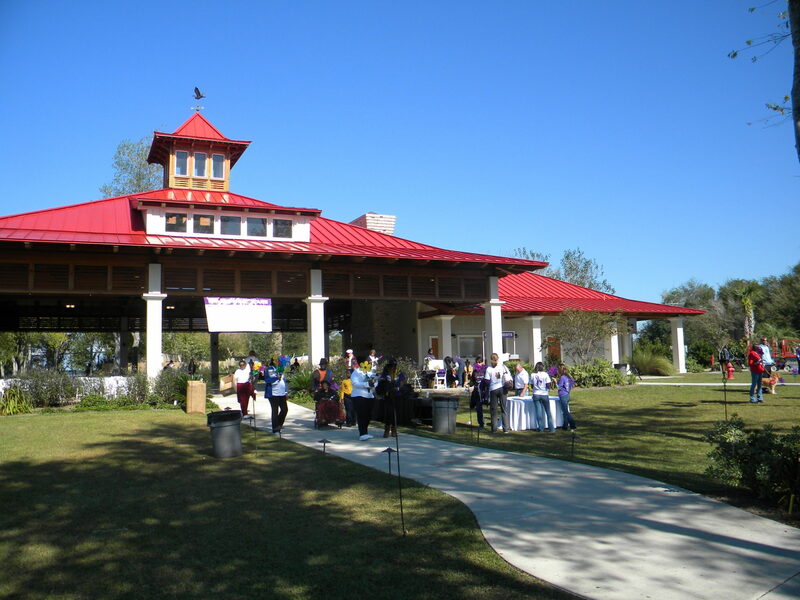 The timber frame structure on this project consists of the main entry porch as well as the wrap-around porches to provide shelter and gathering places on rainy days. 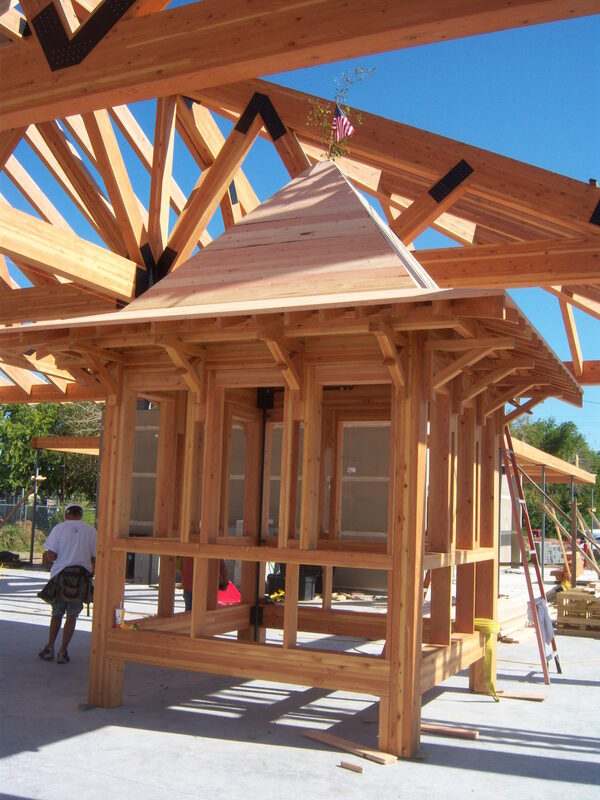 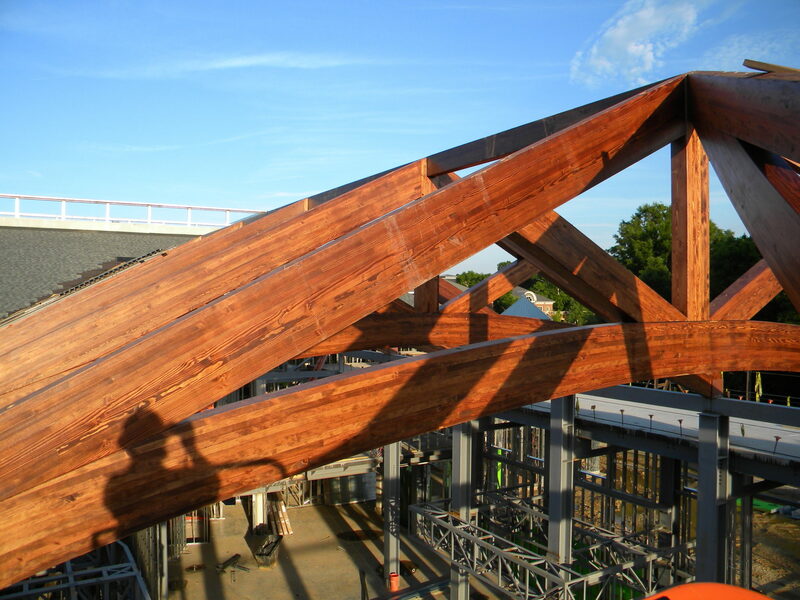 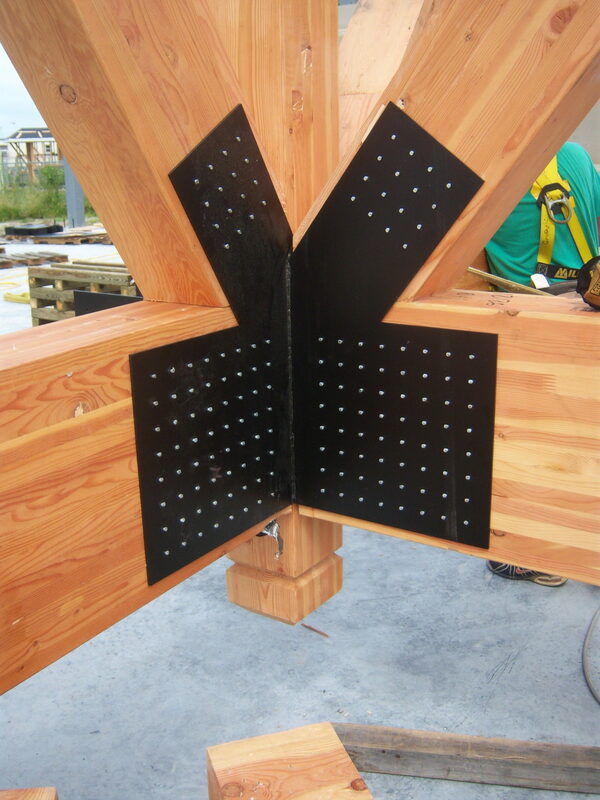 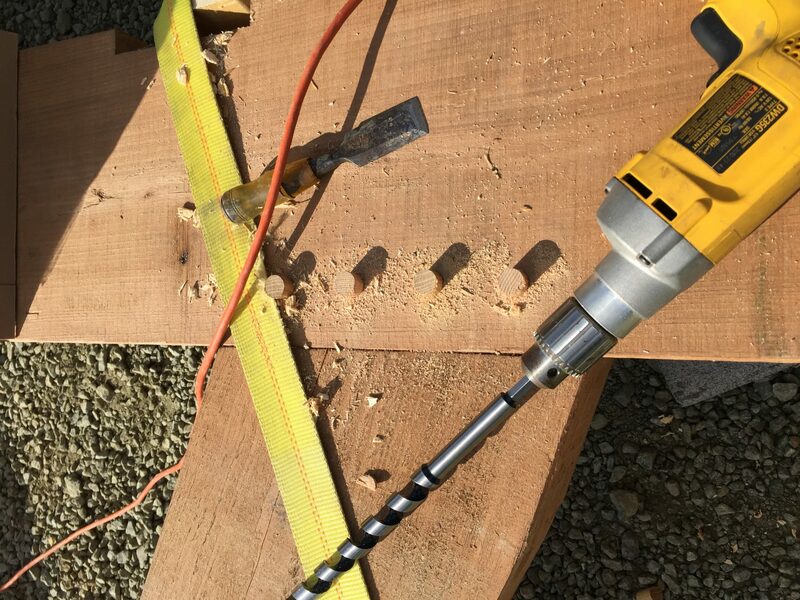 This project has unique roof trusses and joinery details, using curved Glued Laminated Beams. 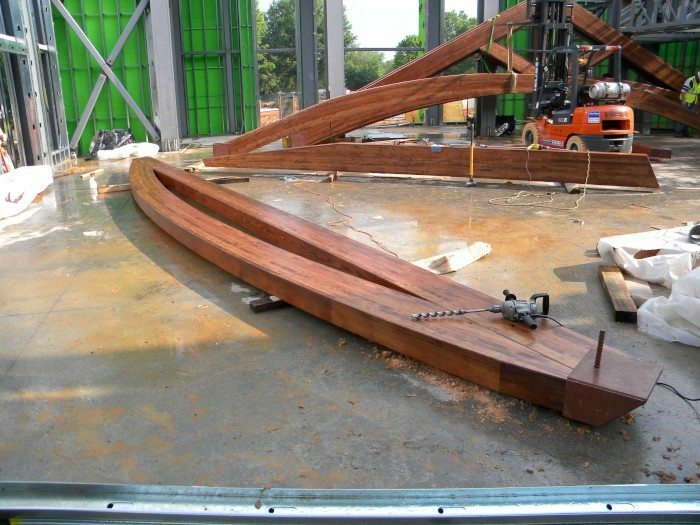 Epoxy, Rebar, Shear Ring Plates and Bolts are used for the connections due to very large spans. 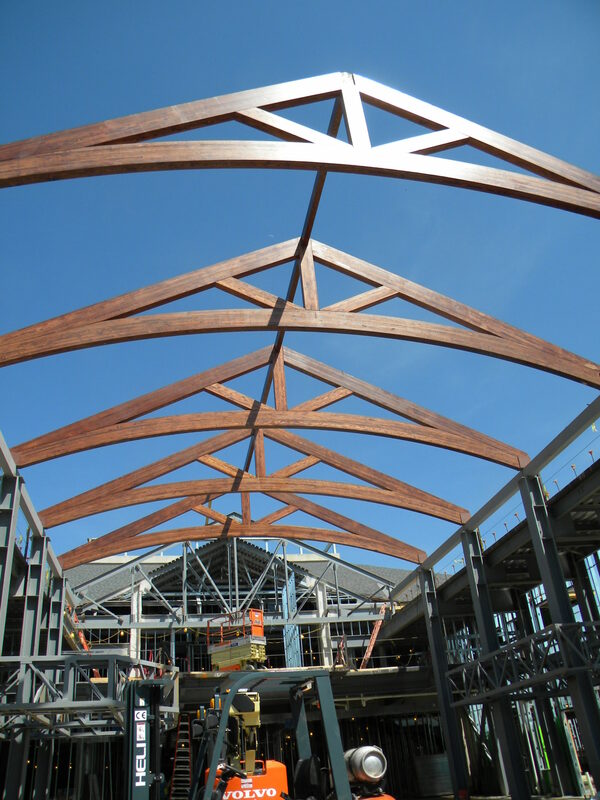 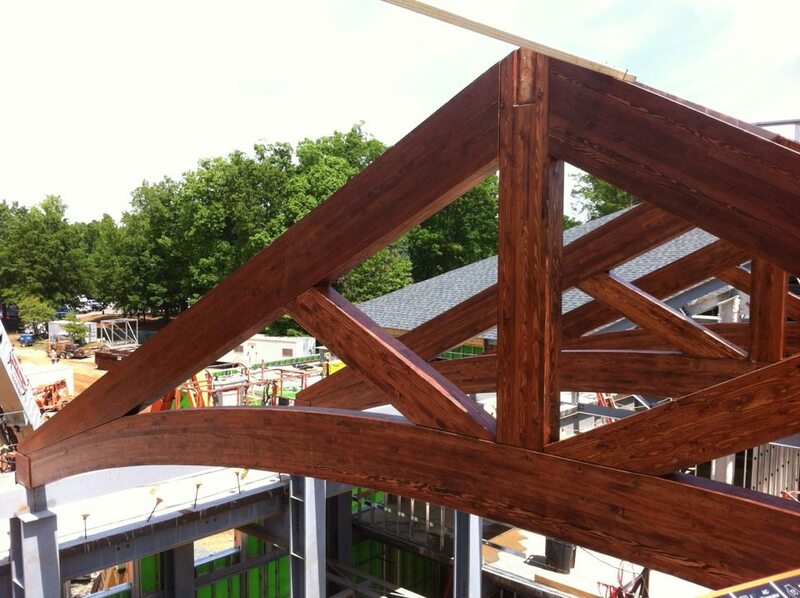 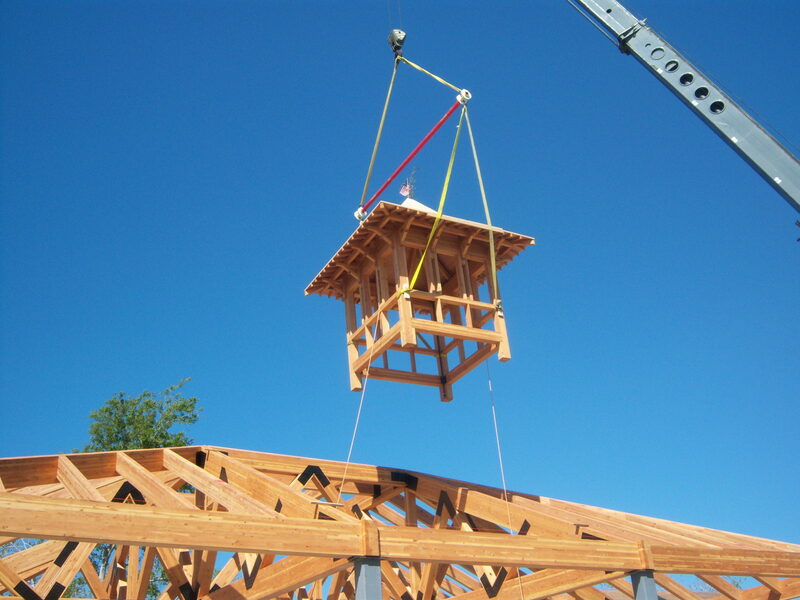 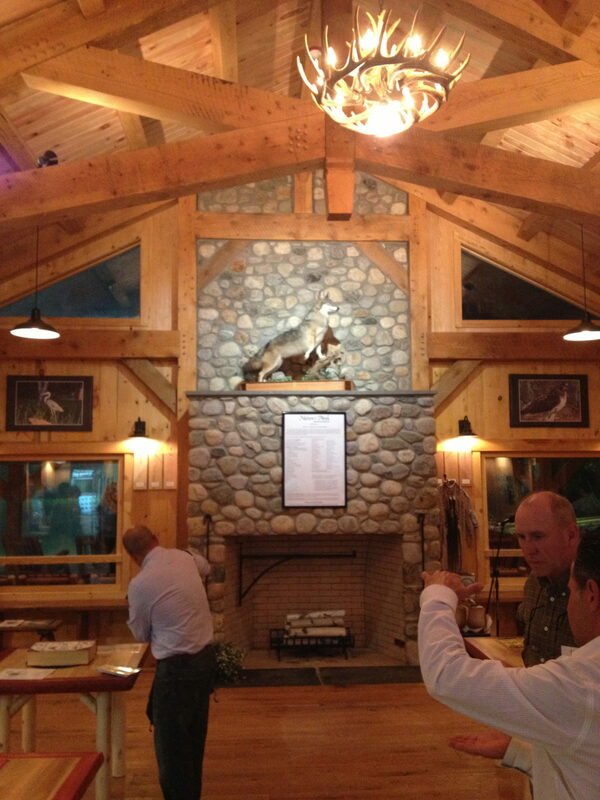 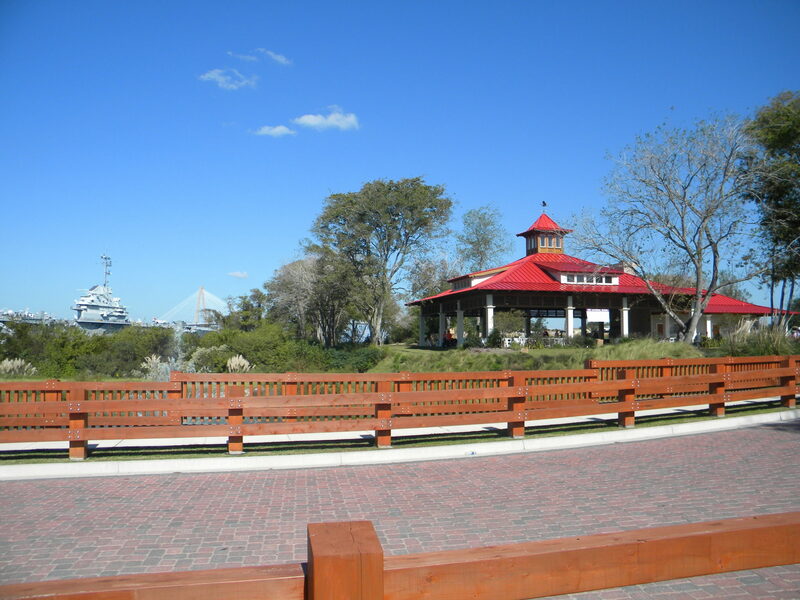 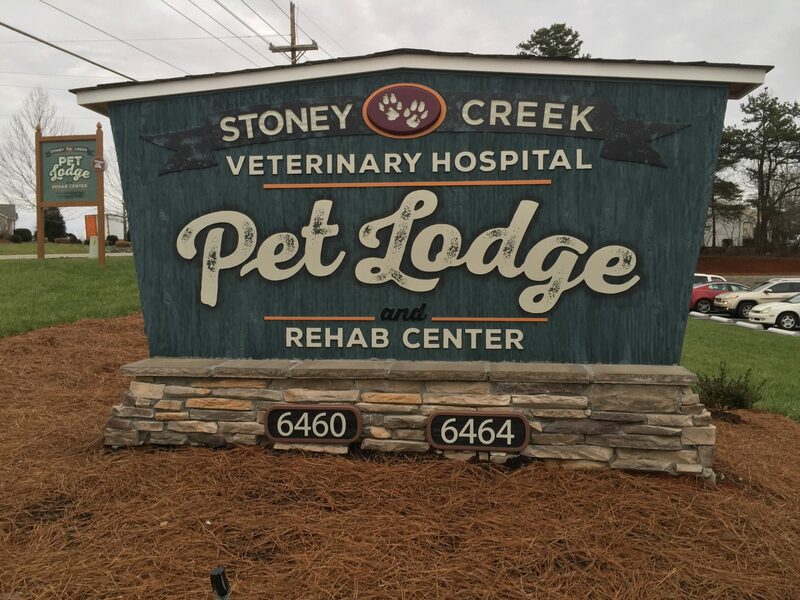 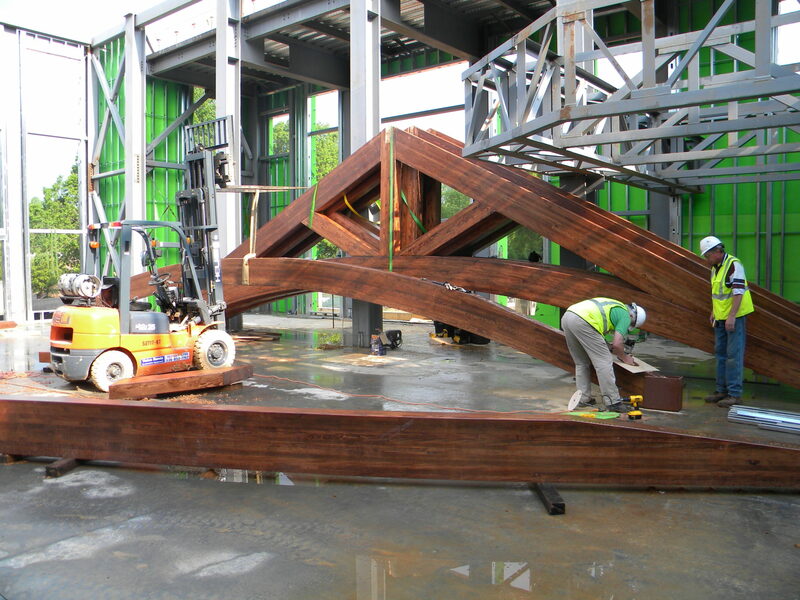 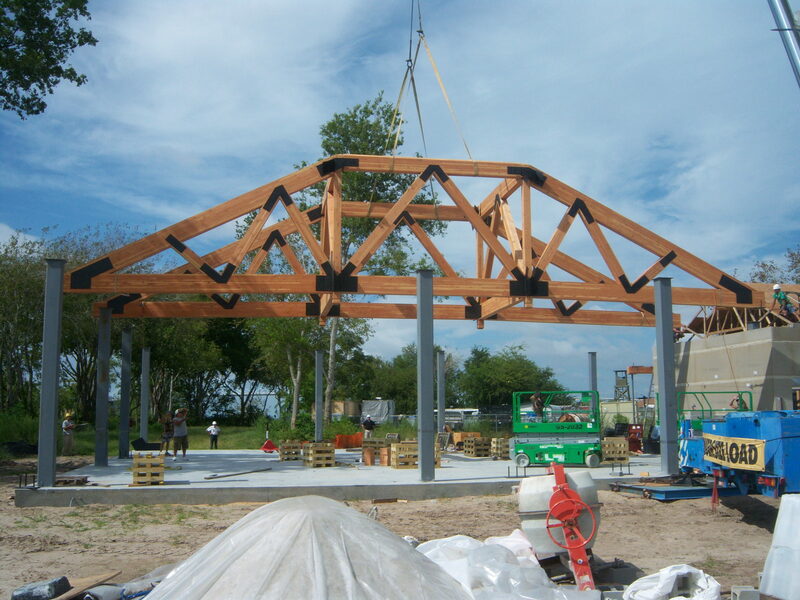 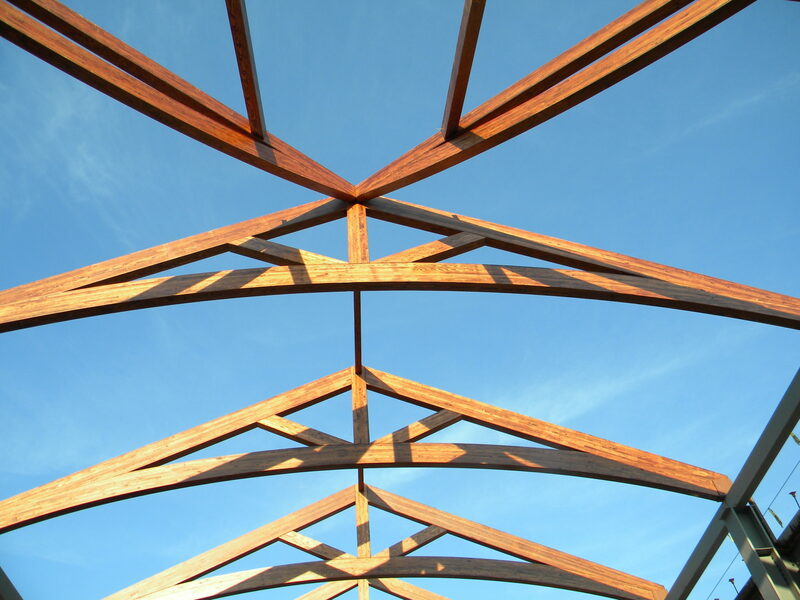 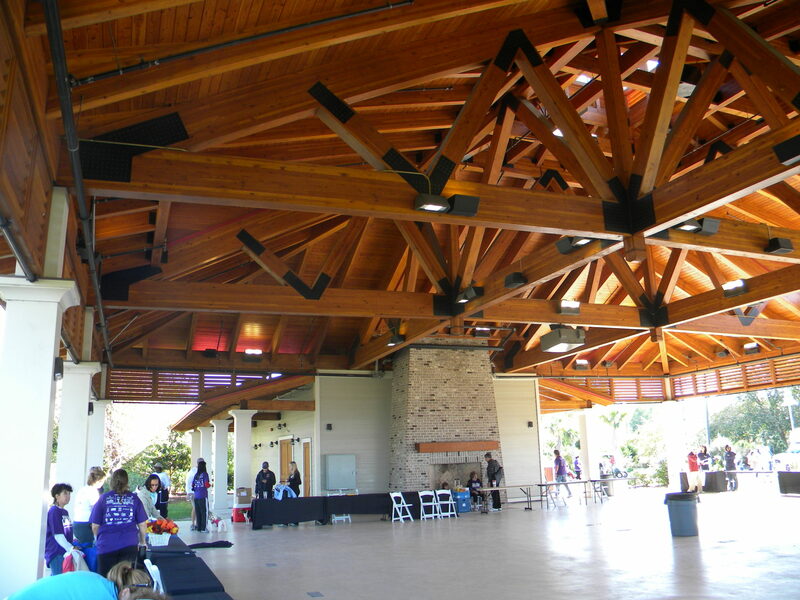 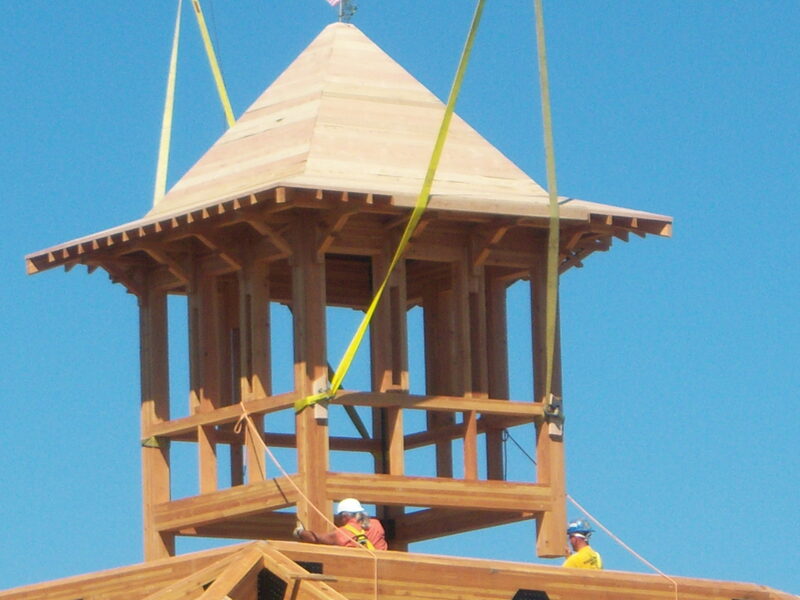 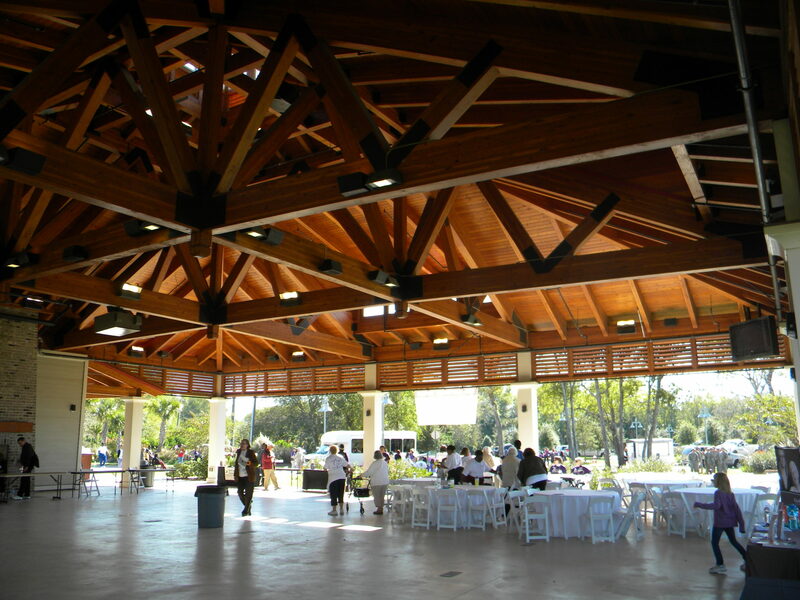 This project features large glued, laminated trusses free spanning about 70' each direction. 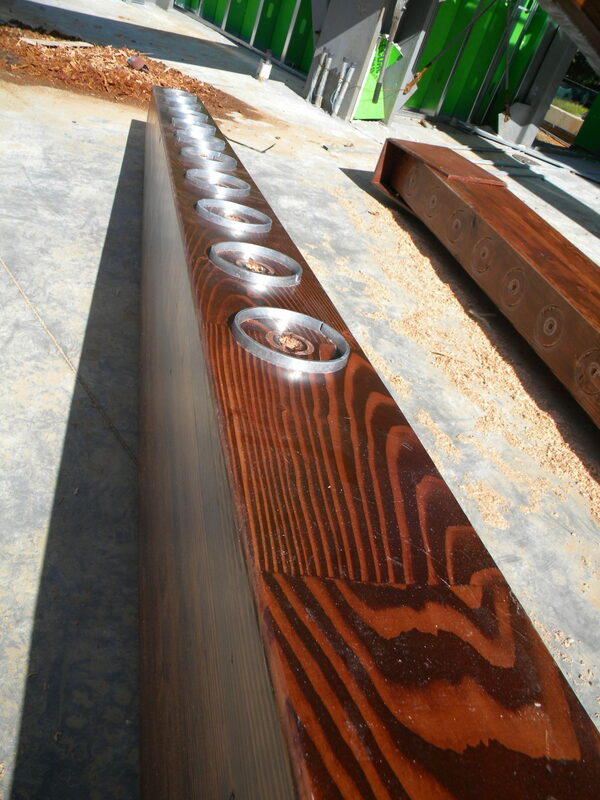 They are connected by external steel plates and steel rivets for a special architectural look.